Frontier Partisans! Dog brothers! I bid thee raise a tankard this weekend to the shade of the great Canadian folksinger Stan Rogers. And give him a listen. I spent an hour or so early Friday morning listening to that fine baritone spin out tales of Canada and the sea (and the Witch of the Westmoreland). Ah, ’tis fine stuff. Rogers died in 1983 at the age of 33. He was returning to Canada from the Kerrville Folk Festival in Texas when the plane he was on made an emergency landing due to smoke in the cabin. Rogers reportedly made it to the exit but turned back to help others and was among several who died. He was a brave and noble man. And his version of Barrett’s Privateers is the gold standard. ‘Twas a fine start to a rainy Groundhog Day mornin’! Rogers’ early demise has left many a good song unsung and lends credence to the old saying about the good dyin’ young. Just listen to Barrett’s Privateers. Interesting to hear a song from the other side of the American Revolution than ours. 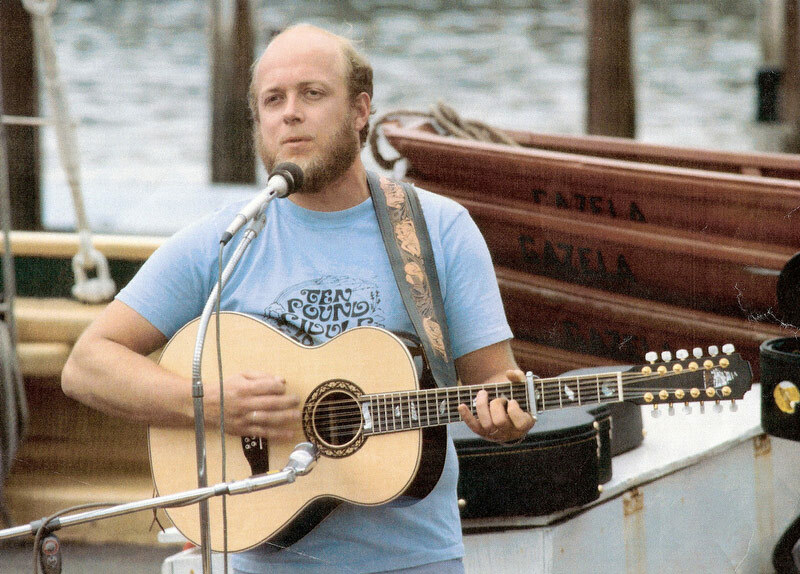 Stan Rogers is a perennial favorite, if tragically underplayed these days. He’s probably neck-and-neck with Jim Croce as the untimely deaths of individual singers go and quality of songs unsung the rest of us can only guess at. Of late ‘The Idiot’ strikes a certain chord. Hard to imagine why. Then again, anybody who can make it through ‘Northwest Passage’ or ‘Down the Road’ without feeling the draw of distant frontiers likely has no soul. Same for listening to ‘Acadian Saturday Night’ without grinning and tapping along. Or the scarce-concealed middle finger to the corporate mind in ‘Last Watch of the Midland’ or ‘Mary Ellen Carter’. But either way it’s safe to say there’s not many could get the edge on him for blue-collar poetry. I was introduced to Stan Rogers’ music through a number of covers by a Dallas-Fort Worth Celtic band call The Blarney Brothers nearly a quarter century ago. It’s been a while since I listened to him. Thanks for the reminder, Jim. There aren’t many Stan songs that I don’t love. One of my favourites is “Field Behind the Plow”. I spent a lot of time on the seat of a Massey-Harris tractor hauling a cultivator turning green fields into brown ones, so it resonates a bit. I always think of my dad when I hear it. I once heard a story about “Barrett’s Privateers” that Rogers simply wanted to create a song in the sea chanty tradition, and wrote it as a bit of a lark. Of course now, whenever three or more neckbeards such as myself gather around too many beers, it gets sung. My brother and I wrote a parody on the back of a napkin at my daughter’s wedding reception, then sang it, a capella. Who can resist shouting “Goddam them all!”? And it is nice to have a Loyalist song to sing every once in a while so we can poke the bear. “Northwest Passage” is very evocative. The exploration of the Northwest by Scottish and French fur traders and explorers is a key part of our story, and resonates the more with what we are discovering about the Franklin expedition. (Palin’s book Erebus being a recent favourite). Rescue was never possible. They were doomed when they left port in England. Who can resist shouting “Goddam them all!”? I’d love to hear it. Do you have a link to a performance? I discovered Stan Rogers accidentaly (if such thing there is). I love and play his version of Archie Fisher’s “Witch of Westmorland”.What a powerful voice, reminds me of Christie Moore. I would like to hear your “Breaker Morant” song, if it is not reserved to the “inner circle”. Thank you for the introduction to a true artist, I was not familiar with him. There are numerous songs on Spotify that I will be exploring! I think we need to schedule a Breaker Morant session at the Nug! Not surprised you found Stan to be in your wheelhouse.